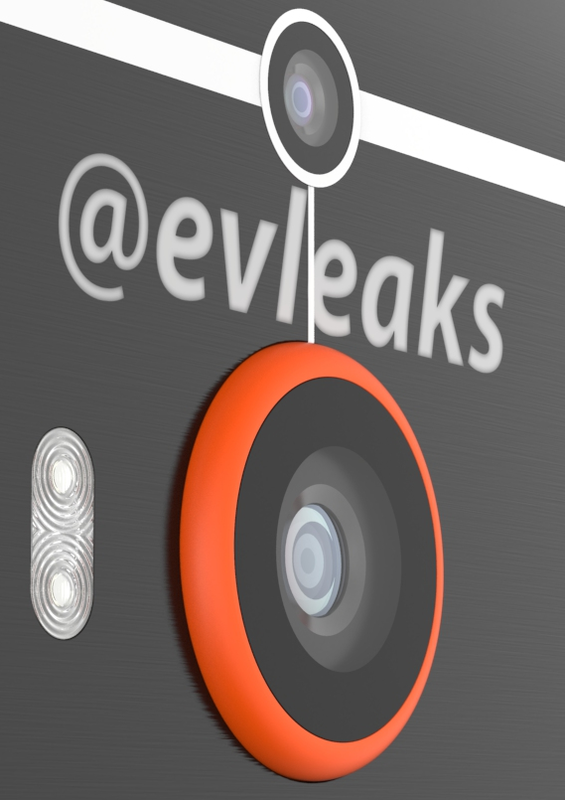 Evleaks has been teasing his followers for the last week with leaked specs for the device. According to him, the newer phone uses a 5.5" 2560x1440 screen, a screaming Snapdragon 805 processor and 3GB of RAM, and fast category 6 LTE. Even more interesting, the device is said to use a waterproof design a la Sony's Xperia line, and a unique case made out of a composite aluminum-silicon carbide material. The basic physical design of the phone has remained pretty much the same, with the exception of the camera "bump" (the Duo camera is intact) and more contrast between the primary body and the trim. The larger bump could accommodate a bigger sensor or better lens, but that's just speculation - it could just have easily been a necessary part of the component design. The front design keeps the relative locations of the dual front-facing speakers and the HTC logo from the current M8. Timeframe and price range for the M8 Prime are not available, but it's possible that both HTC and Samsung want to get their "super flagship" devices out around the same time as LG's upcoming G3 phone. Assuming that the information above is accurate - and with Blass, it usually is - a lot of early adopters will be frustrated at both companies for breaking the yearly upgrade cycle. Naturally, we'll be on the lookout for more news on this device. Update: One more thing - Evleaks says this will be the first device to use Sense 6.5.